I didn’t realise that even a short review could be so important! 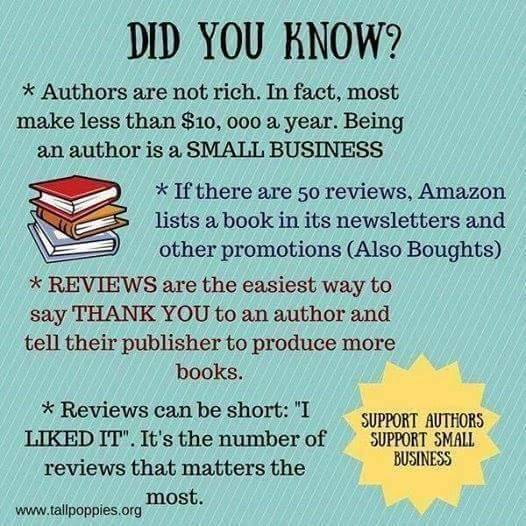 Yep reviews are important, but Amazon is making it harder for you to review books, unless you review lots of other stuff and have made lots of purchases. So please review lots.